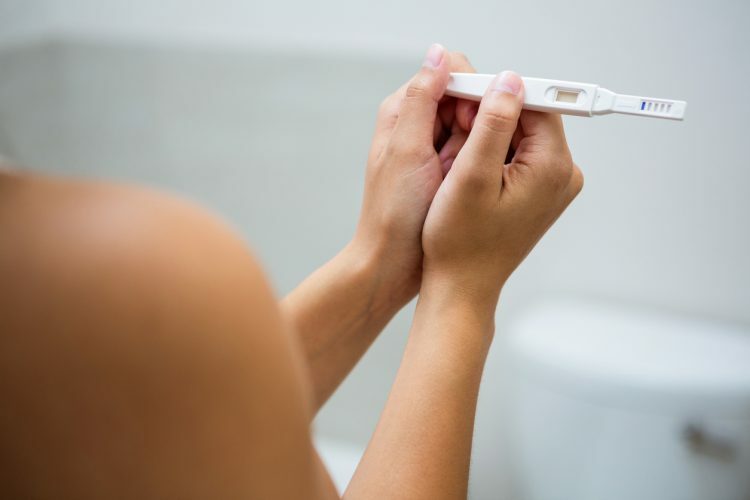 Just be sure to take the test first thing in the morning to ensure the most accurate results, Dr. Janet Choi, a reproductive endocrinologist and the medical director with the Colorado Center for Reproductive Medicine in New York, tells Romper. “Particularly if you’re testing very early on (i.e. exactly 14 days after ovulation), then you will want to make sure there’s enough urine containing enough pregnancy hormone (hCG) to turn the test strip positive,” she tells Romper in an email interview, adding that the early hours of the day will produce the most concentrated urine and not the more diluted stuff that results from liquids consumed throughout the day. Of course, when you do find out that you’re pregnant, the waiting doesn’t stop there. You’ll eagerly anticipate the first heartbeat, ultrasound, and tiny baby kicks, and you’ll definitely be on the lookout for that first contraction. But the thing you’re most patiently awaiting? That sweet first glimpse at your little one’s face.